It was my birthday recently and I had a wonderful day with the family. 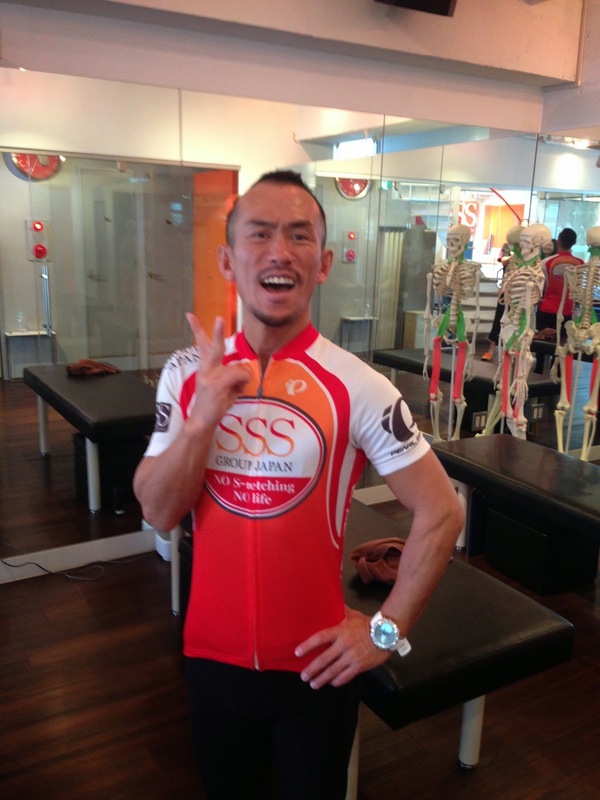 One of the gifts I received though was a sports stretch session at SSS in central Tokyo. Never having been to a stretch session before I was somewhat unsure what to expect. And today I found out. Kaneko-sensei is awesome! Although the guy in the corner in the background had me somewhat concerned as I arrived, I was subject to potentially the most painful workout I have ever been to. Thirty minutes of exquisite pain. But I was promised that afterwards I would feel better. And now I do. Thank you for my birthday present!